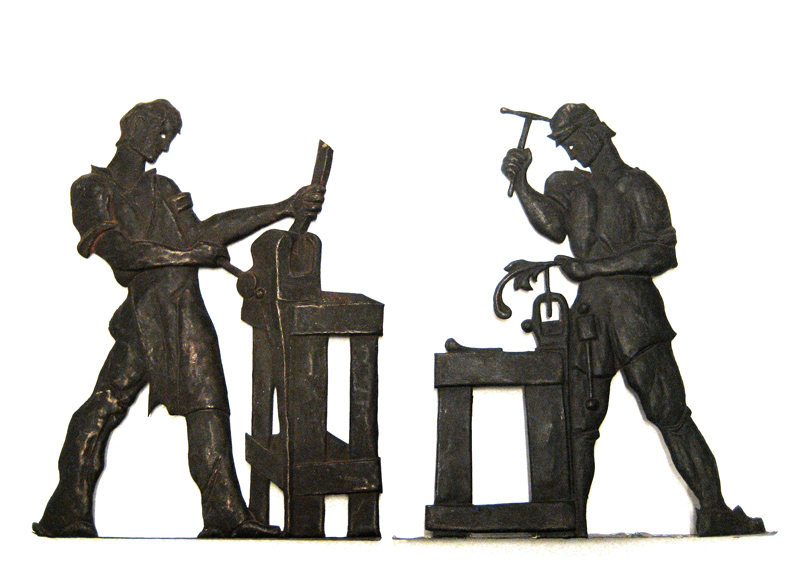 Instead of laying off highly skilled craftsmen during the Great Depression of 1929, Martin Rose created his own “WPA” projects. 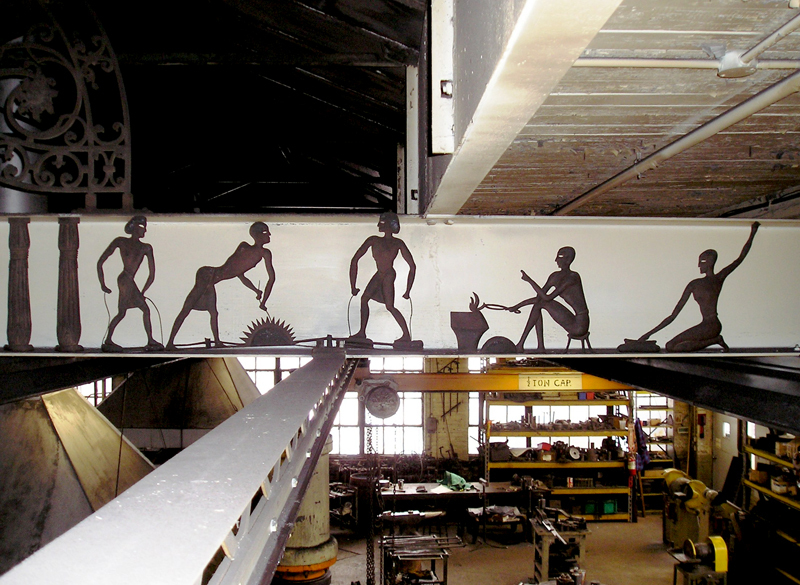 One of these involved tasking Paul Fehér with designing the History of Metalworking, an eighty foot long repoussé frieze which to this day adorns the beams supporting our forge shop roof. 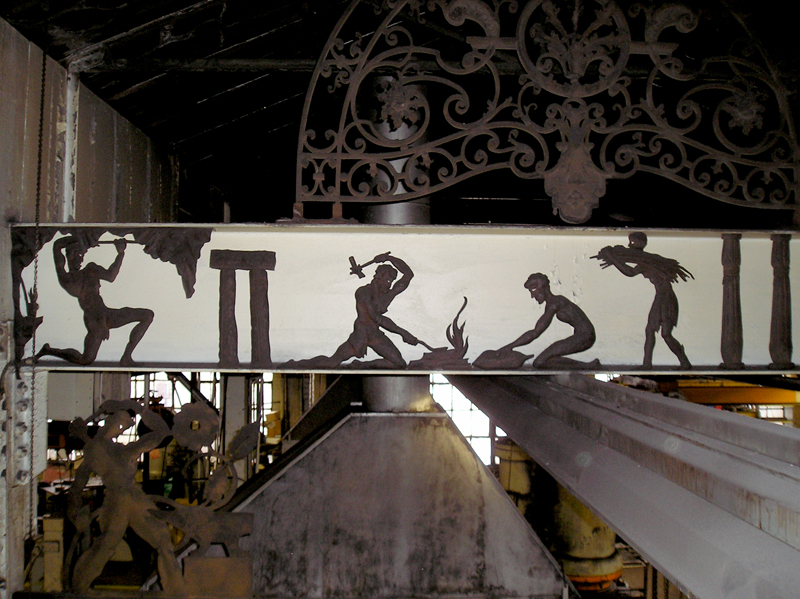 This remarkable piece depicts the history of our craft from primitive cave men discovering fire and mining metal, to Medieval then Industrial Revolutions periods, ending with workmen using oxy-acetylene torches found in the shops of the 1920’s. As time progresses through the frieze, each change of period is depicted by a different type of architectural column. Each figure is hand hammered of thin sheet metal which Martin Rose scavenged from scrap automobile fenders.